Everything happens for the best. No really! 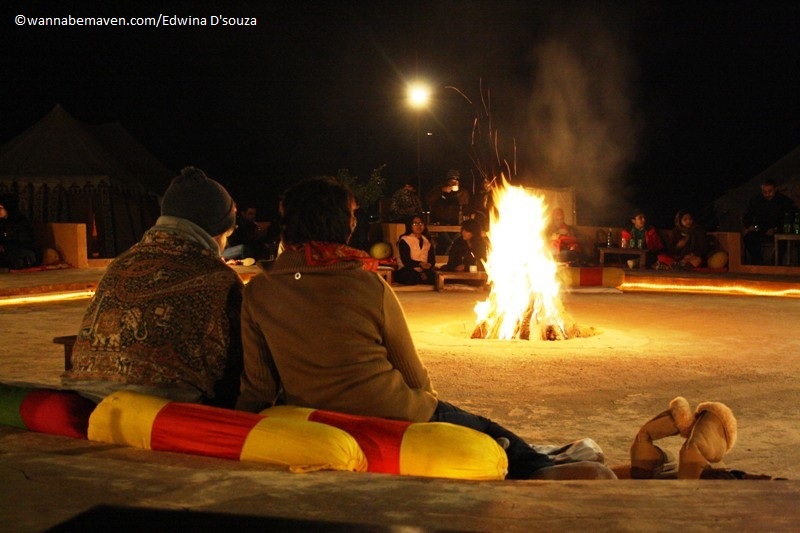 Earlier this year, we planned a new year’s getaway to the Rann of Kutch to visit the famous Rann Utsav. Unfortunately our bookings, done by an online travel agent, got cancelled at the last moment. And with that our dreams of staying in tents and star gazing at midnight in the vast white desert of the Rann of Kutch were in shambles. But the travel enthusiasts that we are, we quickly planned an alternative trip. 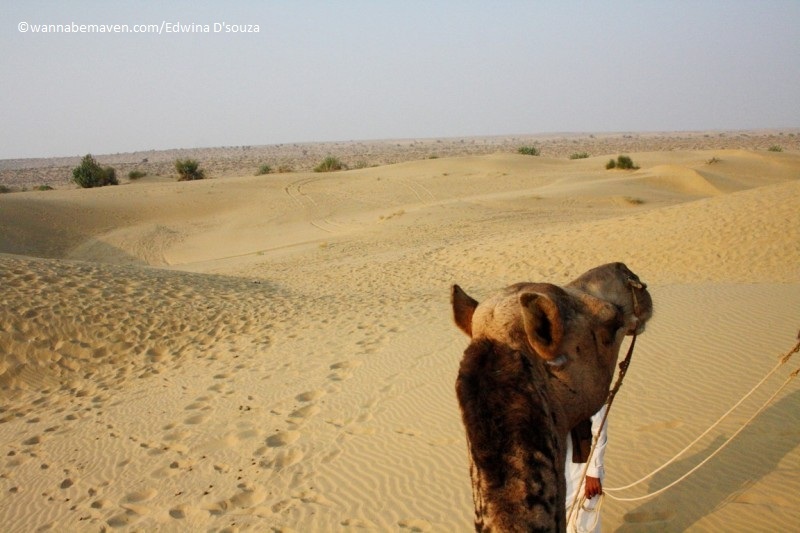 Since a stay in a desert was our prime motive, we shifted focus to Rajasthan and settled for Jaisalmer – popular for its sandstone structures, and of course, Thar Desert. 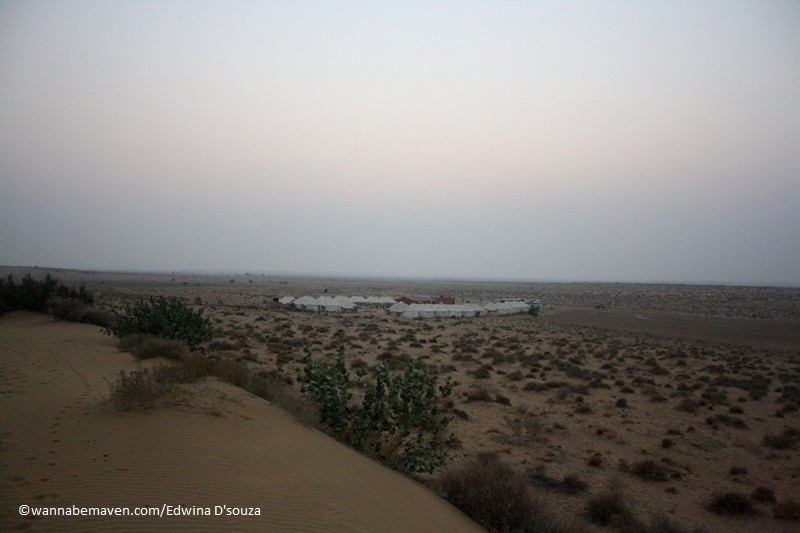 Our humble abode was Prince Desert Camp in the Thar Desert. Prince??? Cheeky name we thought. But we booked our stay anyway. Turned out, our decision to stay at Prince Desert Camp was a fabulous one. I was skeptical initially since it was the month of January and the cold would be unbearable in Jaisalmer. I stocked up my thermal and jackets assuming the tents would do little to protect me from the season’s harsh weather. I even asked a worker at check-in if the tents were equipped with a heater. The worker politely responded that a heater won’t be required and that the tents are concealed to protect guests from harsh weather conditions. He was right! Twenty one Swiss tents make up for their accommodation; each with an English toilet and spacious bathroom. Hot water runs only during mornings but if you’re visiting this place with the intention of an offbeat experience, this should be of least concern. Their communal dining hall serves traditional buffet breakfast and dinner. We spent the two days sightseeing in Jaisalmer city. On return to the camp during evenings, we were welcomed to the sound of dhol and flowers. 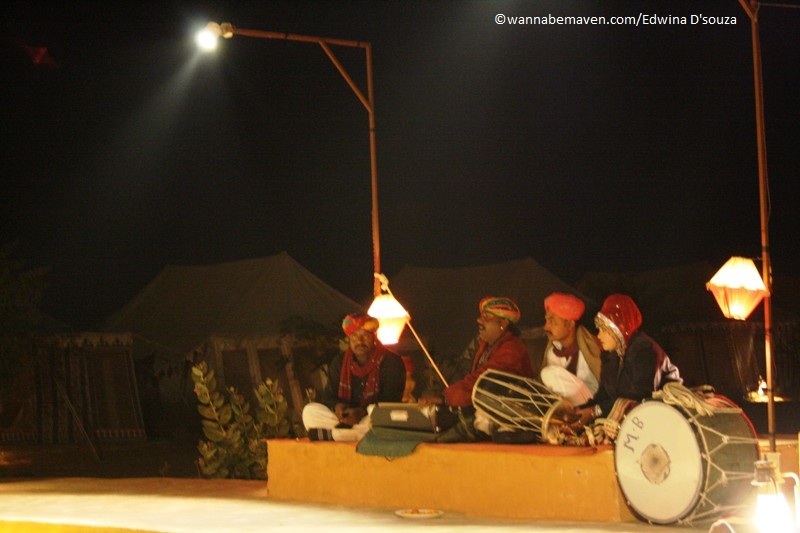 We sat in the company of fellow tourists and watched local performers dance their way to Rajasthani folk songs, Jugalbandi and Kalbelia. The evenings ended with traditional meals boasting of regional dishes like Dal Batti Churma and Ker Sangri. True to its name, Prince Desert Camp has a remote location in the desert, almost a kilometer off-road the Jaisalmer-Sam village route. The best part about them is the sand dunes in their backyard. 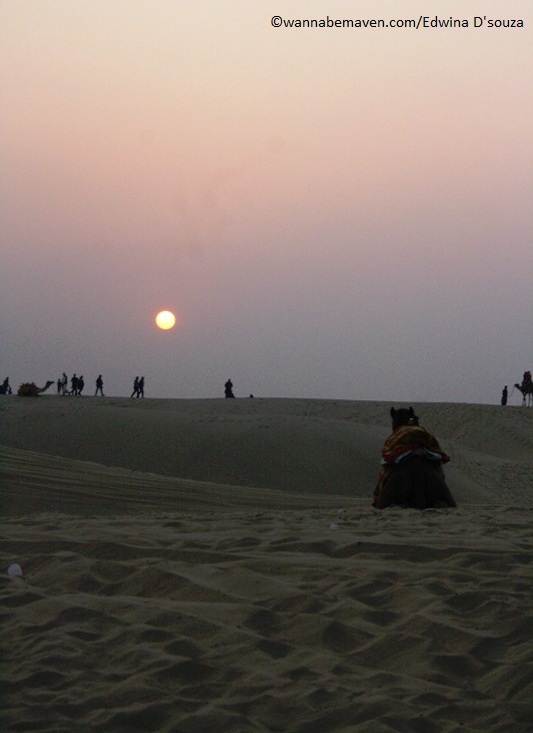 During the evenings, guests took the complimentary camel ride to the sand dunes to enjoy the beautiful view of sunset. There were multiple activities for guests albeit commercialized such as camel ride, camel race and dune bashing. The food at Prince Desert Camp lacked variety on the second day. This could be because most of the guests visit them for a one night stay. I consider this as a drawback since an ideal duration for a desert camp stay, in my opinion, should be at least 2 days. Perhaps, Prince Desert Camp need to work on a wider range of offerings in terms of food. You may also note that the Camel ride to the sand dunes may not end up being a free service since the owner of the camel coaxes you to the point of annoyance to tip him. Most guests often give in. 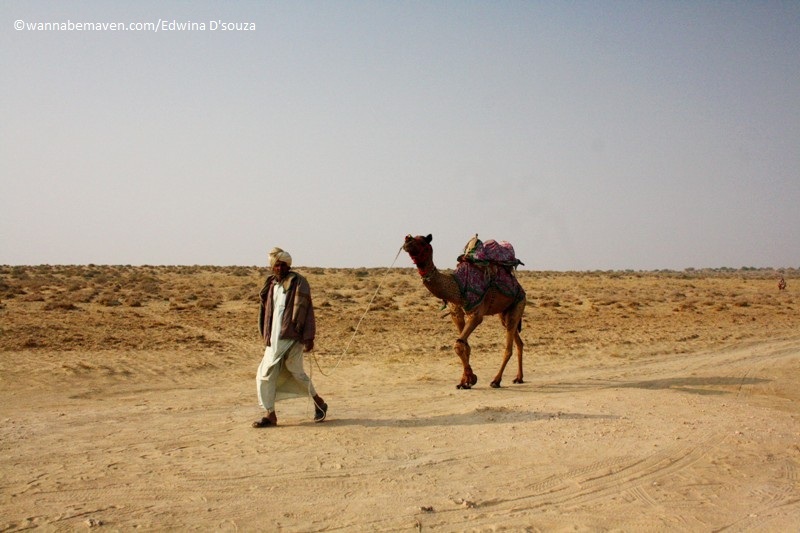 I set out to explore Jaisalmer on the first day of January, 2015. And it was for the first time that I backpacked with a couple of strangers who shared similar sentiments towards travel. This in itself had made my trip quite special. 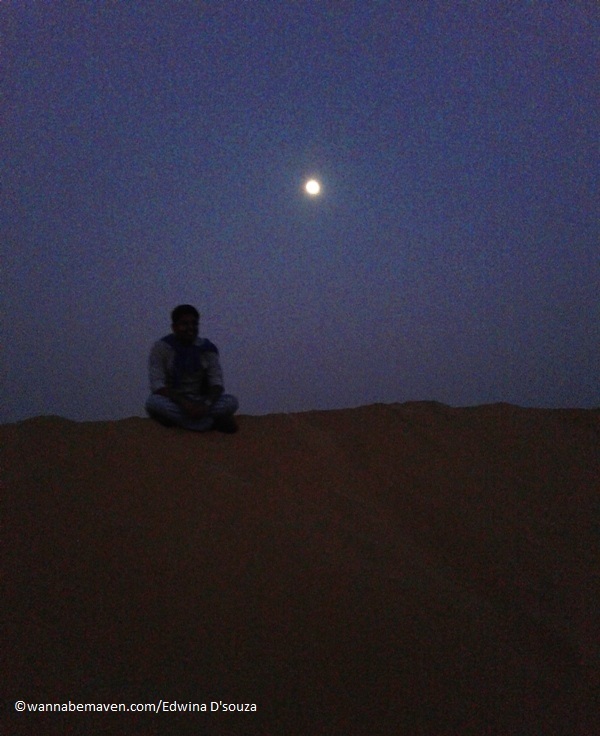 But the stay at Prince Desert Camp also gave me one of my best travel memories so far. On a quiet midnight after dinner, we headed back to the sand dunes in our backyard. That night we discussed B-grade films and slasher films and then star gazed for a while, lying down in the cold sands in the middle of nowhere of the lonely desert of Thar. A treasured memory indeed! 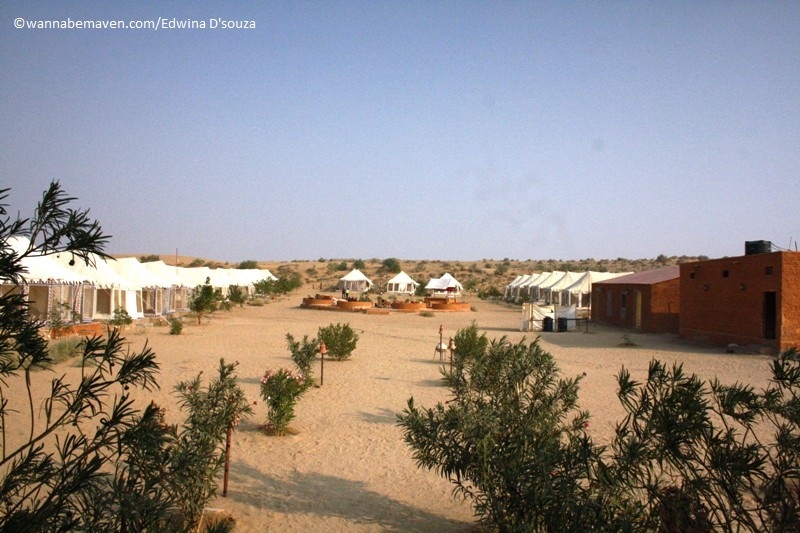 Prince Desert Camp is located on the arterial road connecting Jaisalmer city to Sam Village. The journey is approximately 40 minutes from the city. Be vigilant for a junction with a board to take a right and go off-road towards Prince Desert Camp. When booking your stay with Prince Desert Camp, you can inform them for a pick-up service from the station or bus stand. It is advisable to avail their car rental facility for city sightseeing since you would be staying on the outskirts. We got a Swiss tent on double occupancy for Rs. 4500 per night (inclusive of buffet breakfast and dinner). Prices are seasonal, so it is best to check with them prior to booking. My stay at Prince Desert Camp was not only a good start to 2015 but also memorable in many ways. 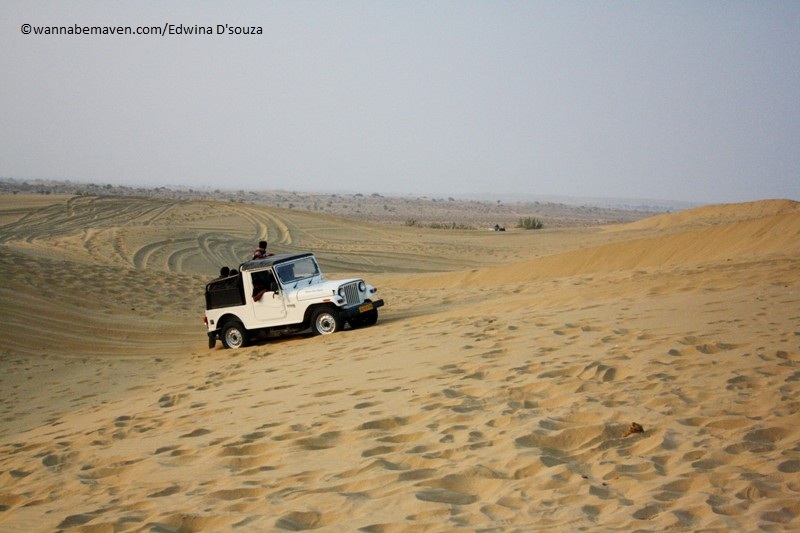 If Jaisalmer is on your itinerary than a stay at a desert camp should be on your to-do list. And if a desert camp is on your list, check out Prince Desert Camp. 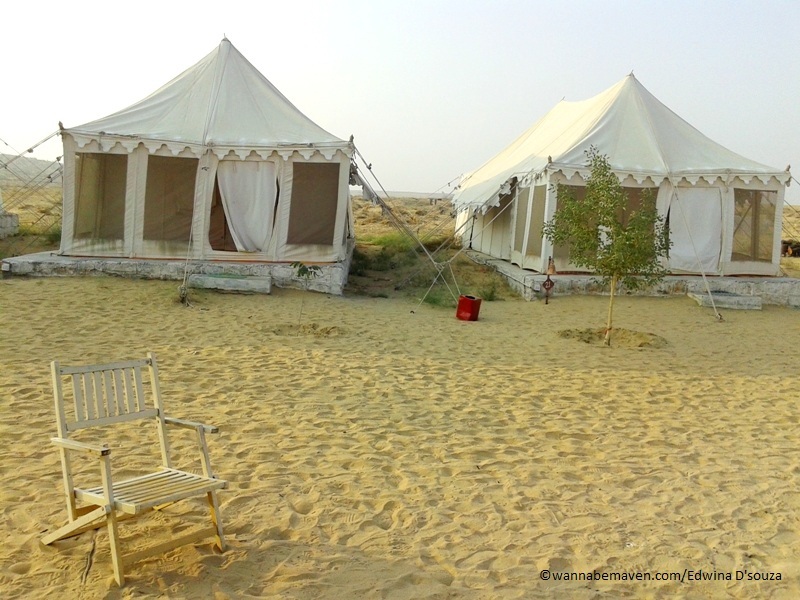 It’s one of the best desert camp in Jaisalmer (thoughts are my own!). Culture, Desert camp, Desert stay, Deserts, Indian tourist destinations, Jaisalmer, Offbeat, Offbeat Experiences, Reviews, Rural Tourism, Thar Desert, Theme Travel, Tourist Destination, Travel, West India. Bookmark.